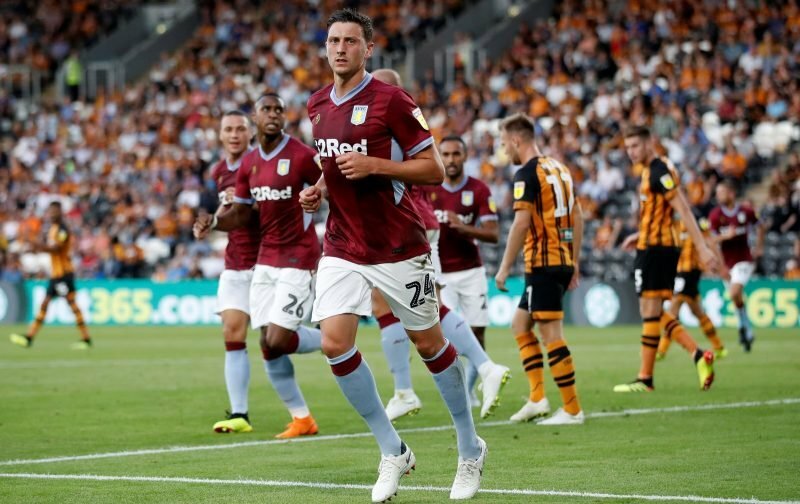 It was another disappointing weekend for Aston Villa fans as despite our best efforts, we could only take a point off Reading in our Championship trip to the Madejski Stadium. It was a missed opportunity to close the gap to the Play-Off spots and we had the chances to take all three points and we even hit the woodwork but we just couldn’t score to break the deadlock. For those fans looking for positives, it was another clean sheet and we saw a couple of debuts but as we all know, we’ve got a lot of work left to do yet. 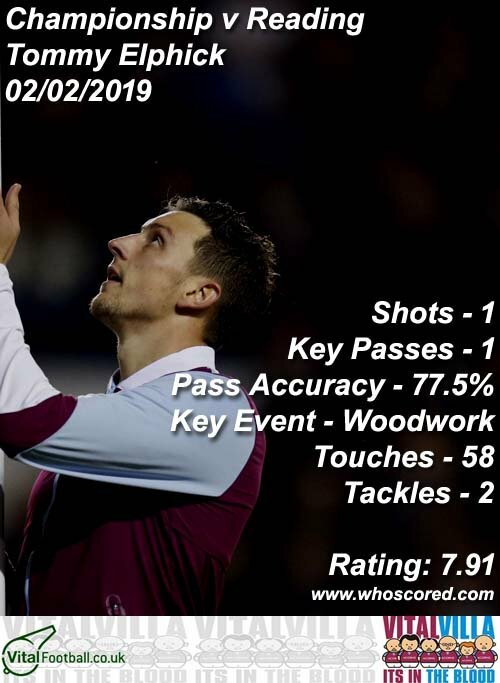 Statistics website Whoscored.com gave their top rating to the man who hit the bar – Tommy Elphick picked up a score of 7.78 on the day. Finishing the top five were Alan Hutton (7.38), Tyrone Mings (7.32), Conor Hourihane (7.32) and goalkeeper Lovre Kalinic (7.22). On to the next one and hopefully a return to three points to give everyone a small lift again.